Two Delaware Alcohol and Tobacco Enforcement (DATE) officers were injured and several people were arrested after multiple fights broke out in the area of Coastal Highway and Dagsworthy Street in Dewey Beach just before 1:30 a.m. Sunday. 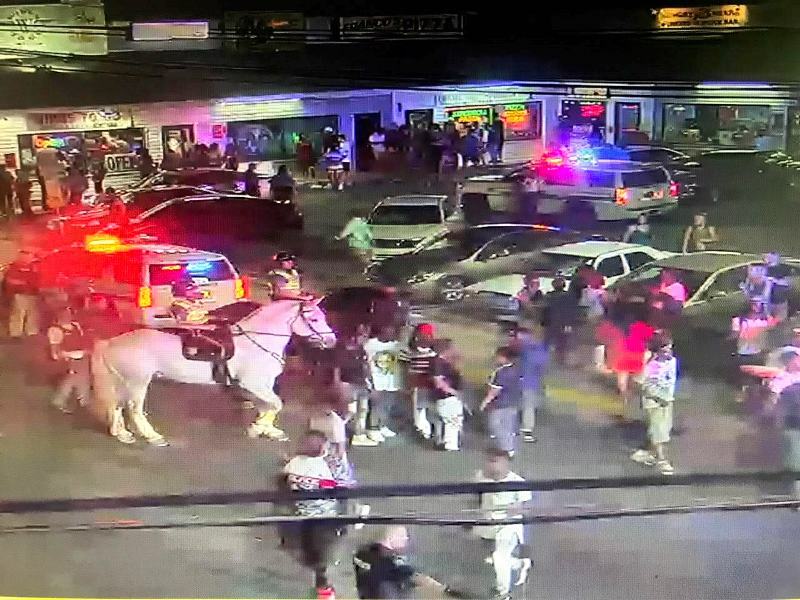 Rehoboth Beach and state police — including those on horses — responded to assist with the brawl, along with other agencies. The revelers were fighting with each other, bystanders and police after they had reportedly left a nearby bar. Several were arrested by the various police agencies. At least one was charged with inciting to riot. A 32-year-old DATE officer had his foot run over during the melee and was taken to the hospital for evaluation. No word yet on the injuries the second DATE officer had suffered, but they did not sound serious. The real heroes of the weekend, says Sgt. Clifford Dempsey, Dewey Beach PD spokesman, were the state police horses. “I don’t think the horses get enough credit,” he pointed out. They are such a valuable asset controlling such violent crowds, he said. 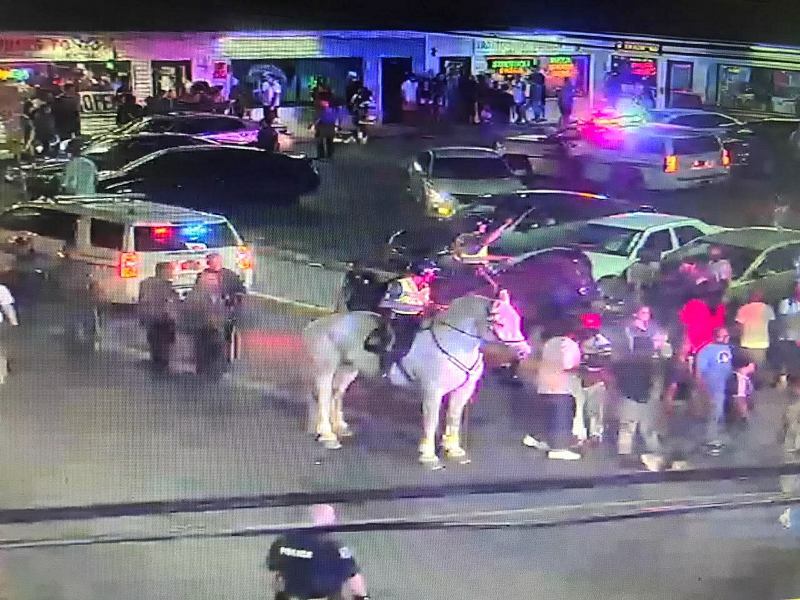 After reviewing the town’s video cameras of the incident, he credits the horses for helping scatter the crowd and getting them off the roadway in just a couple minutes. Without the horses, it would have taken officers much longer to disperse those crowds, he pointed out. “The video shows it, right here, what they can do,” he said. Throughout the entire holiday weekend the horses were a “godsend,” Sgt. Dempsey added, as they were useful in helping keep other revelers in line. In another incident he said one person was charged with offensive touching of a law enforcement (OTLE) officer after aggressively touching one of the horses. The horse was not hurt. In Delaware, assaulting a police animal qualifies as an assault on a law enforcement officer.